It’s been a little while since the last update, primarily because I’ve been pretty busy, but also partially out of laziness. Building the wine shop is pretty slow progress and it didn’t feel like it was worth posting just to show a few more layers of bricks. To the left is a WIP mandarin duck, which mostly needs sharpening up in a few places, while on the right is the leader of the Glorious Duck Revolution, Lenin the Mallard. There will be plenty more ducks over the coming year or so. Anyway, back to France. The actual shop frontage is almost finished now and I’ve started working on some extra details. It’s still a little rough in places, but it’s coming together. The right hand side has also been sanded flat, and the back is… getting there. It’s slow, dull work, but if I force it I know I’ll just end up breaking something and then I’ll be really pissed with myself. Speaking of piss: I dug up some resin wine bottles I had lying around (I honestly have no idea where or when I got these, I just knew they were in one of my many crates) and painted them up for the shop display. I’m pretty pleased with how they’ve come out, if I’m honest. I should try to figure out where they came from and get a few more for some future projects. 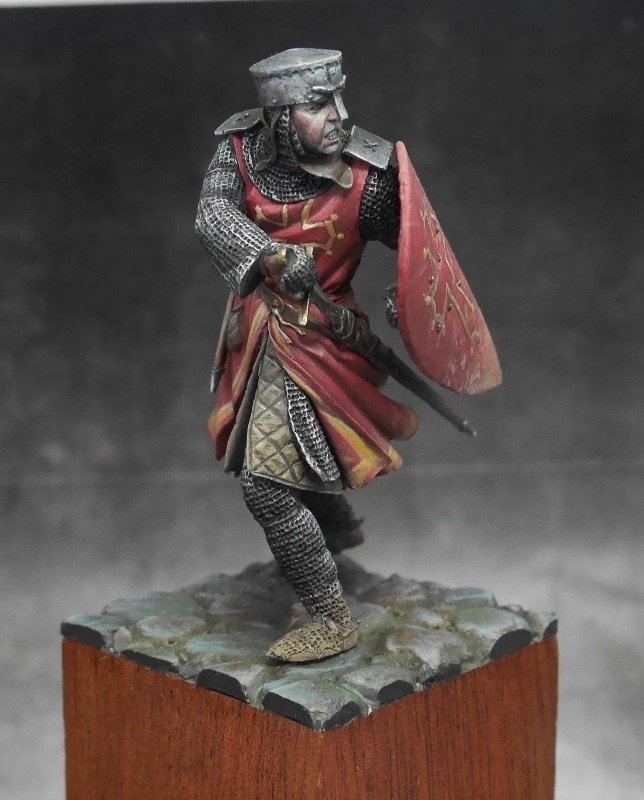 Finally, I have finally taken (huge) finished pictures of the Occitan knight to put up on Putty and Paint – throw a vote my way if you’re so inclined.